It’s a well-established fact that practicing Yoga will help you increase flexibility and learn to relax, and various studies have shown it to correlate to just about any marker of good health you can think of. You know all this already, so we’re not going to go on about why you should practice yoga. 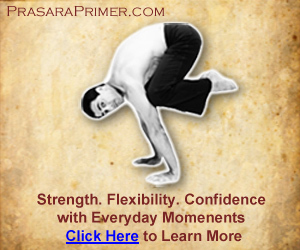 However, we do want to tell you about what makes the Prasara Flow Yoga Video Course unique and what it can do for you. The short story is that Prasara was created to develop Flow – a quality of movement in which you can transition smoothly form one thing to another. Actually, Flow is a lot of things, and that can make it difficult to describe – and even harder to learn. But it isn’t impossible, and we’ve been teaching it for years to our private clients, in live seminars and workshops, and though this course, the Prasara Primer. The unique element of Prasara practice as opposed to most other styles of yoga is simply that traditional yoga is fixated on sitting in poses while Prasara shifts the emphasis to the transitions between poses. You’ll still use the same postures and positions, but we’ll also work on your ability to “flow” from one to the next so you can develop real agility, grace, power, and yes, Flow in everything you do. 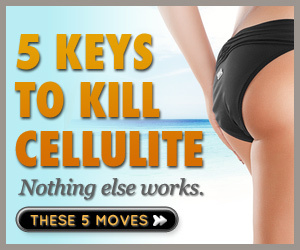 Restore your self-confidence as you mas­ter increas­ingly chal­leng­ing movements. Chal­lenge your ner­vous sys­tem for increased move­ment effi­ciency. Boost power and mobil­ity simultaneously. Play bet­ter at any sport with increased bal­ance and spa­tial awareness. Neu­tral­ize pain from tight mus­cles and stiff joints. Min­i­mize sidelin­ing injuries and cor­rect the imbal­ances that cause them. Develop true func­tional mus­cle with­out excess bulk. Tap into the unlim­ited cre­ativ­ity and spon­tane­ity inside you. Prac­tice any­time, any­where – with no equip­ment and min­i­mal space. After you’ve used Prasara for two months, you’ll wonder at how much better you feel in your body and your overall physical prowess and agility.